A lot of people has been asking me to put together a modeling tutorial on what tools to use, how to build certain things, etc. 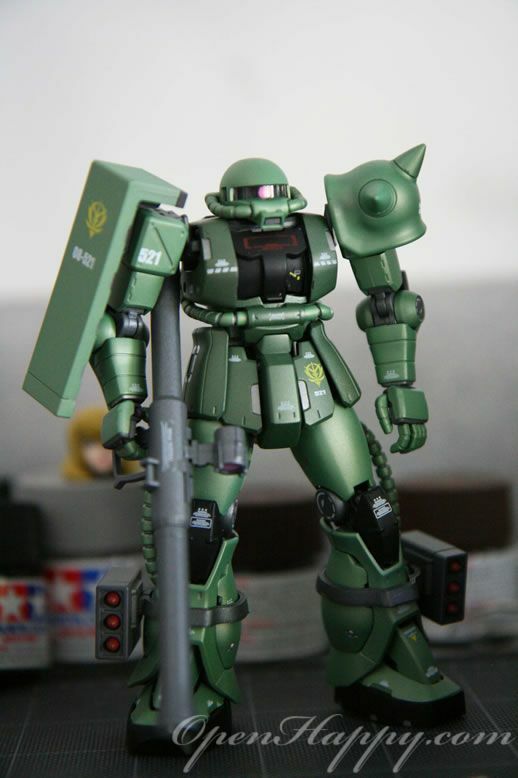 I hope this series will be useful for anyone who wants to get a quick introduction on building Gundam models, Sci-Fi models, military models or anything else that is plastic in between. So, here is the first section of the tutorial - Modeling Tools. 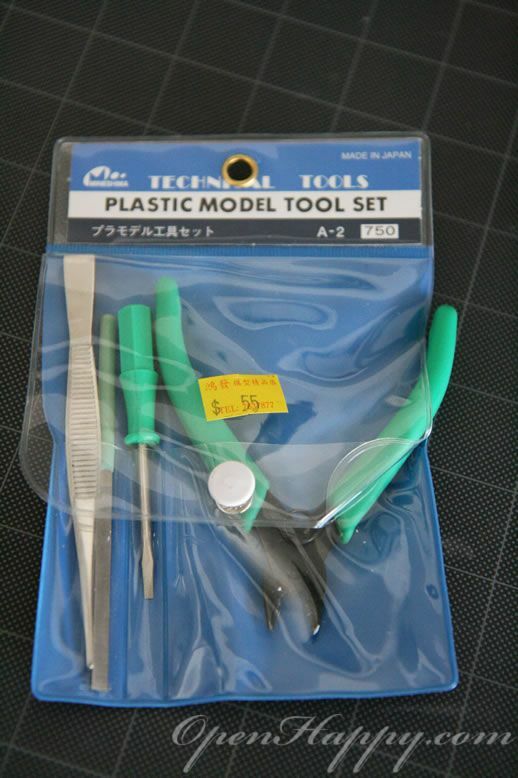 When you first start out in building models, you don't need to go crazy to get the most expensive tools. 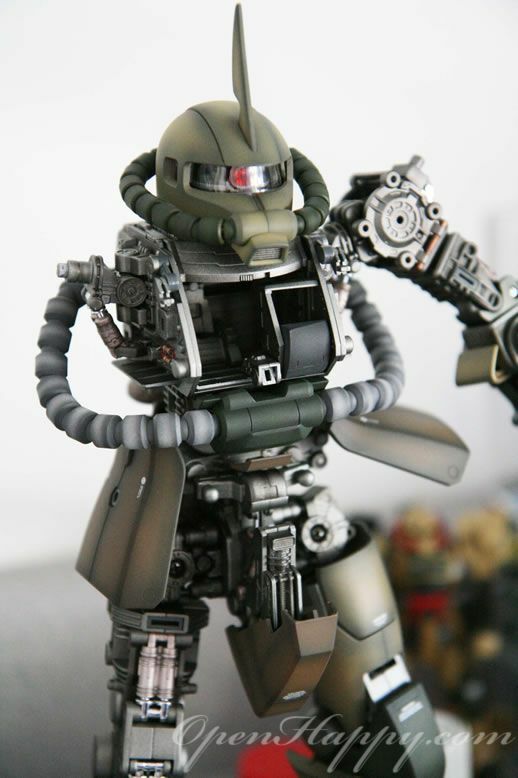 For less than 7 USD, you can have a basic set to start having fun with your models. 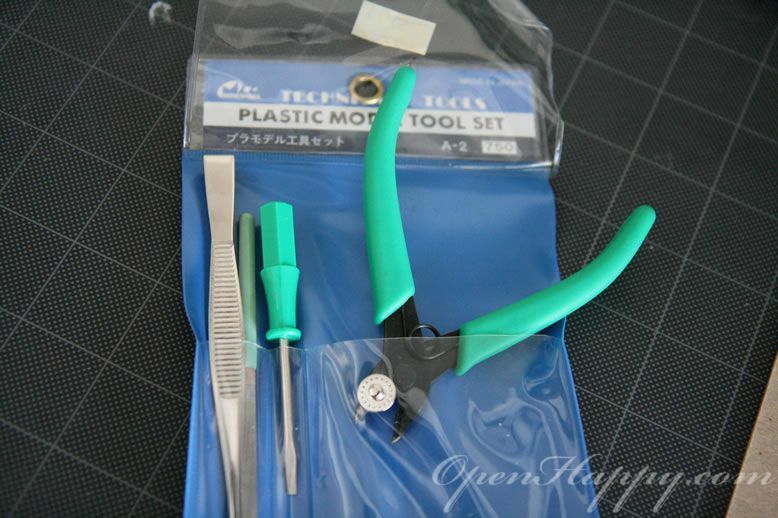 The basic tool set contains a flat cutter (aka side cutter), screw driver, sander and tweezer. 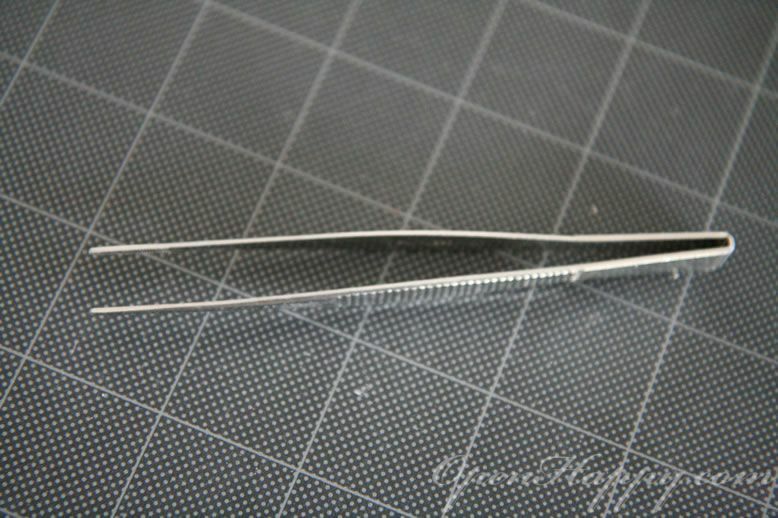 The other tweezer I used is for ligter duties such as picking up paper, decals, etc. 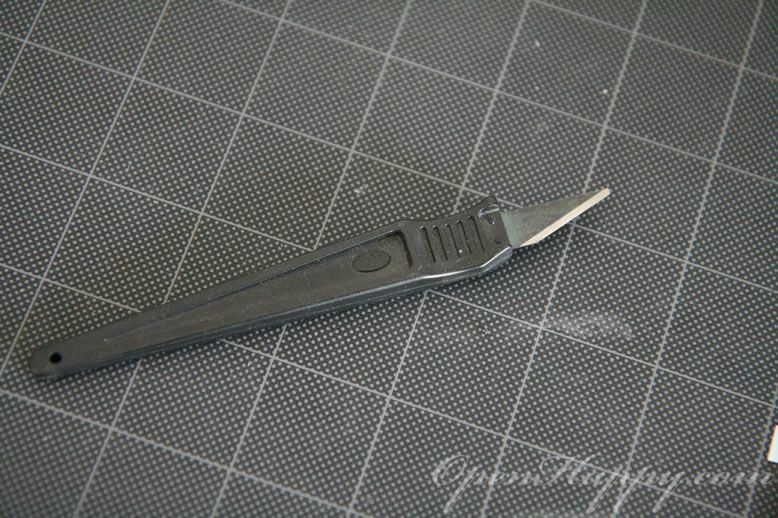 I also keep a cheap Testor knife for rough duties. 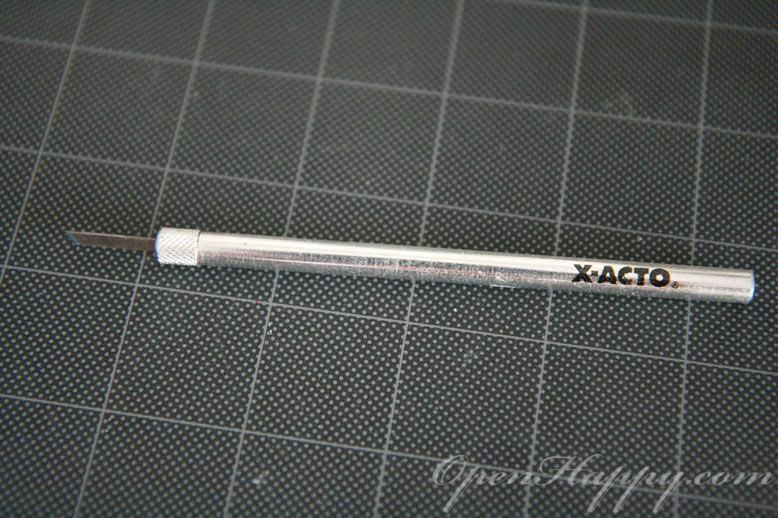 For getting rid of parts in a flat surface, I use a smaller version of X-ACTO. 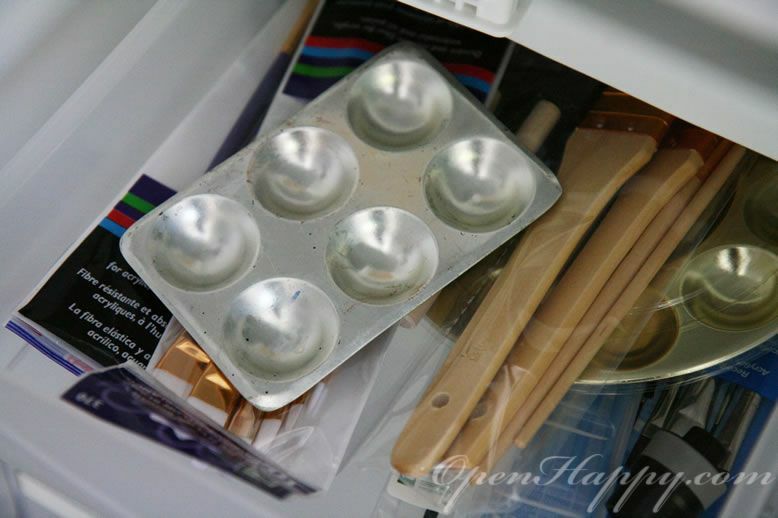 Make sure you save some packaging materials somewhere to put your knifes in when you are not using them, so they don't roll off the table. It will hurt if you step on them. 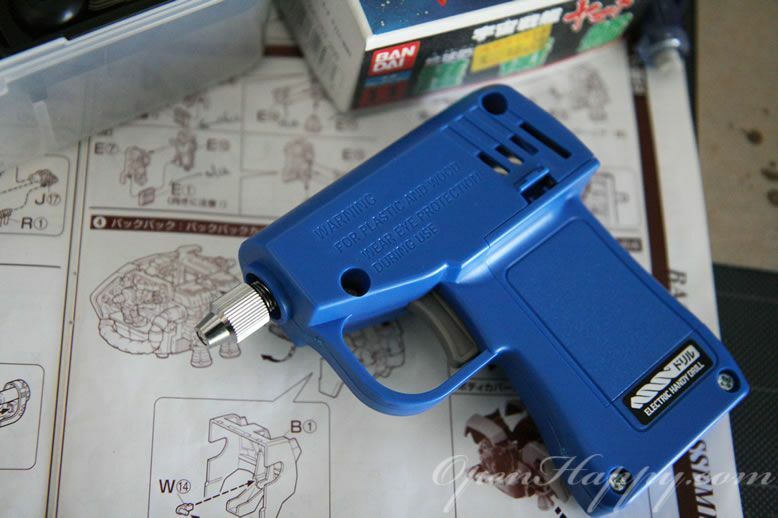 Back in the days, I will get a sanding pack and sand from high number ot low number to smooth out a part. The lower the number, the more it will sand out. 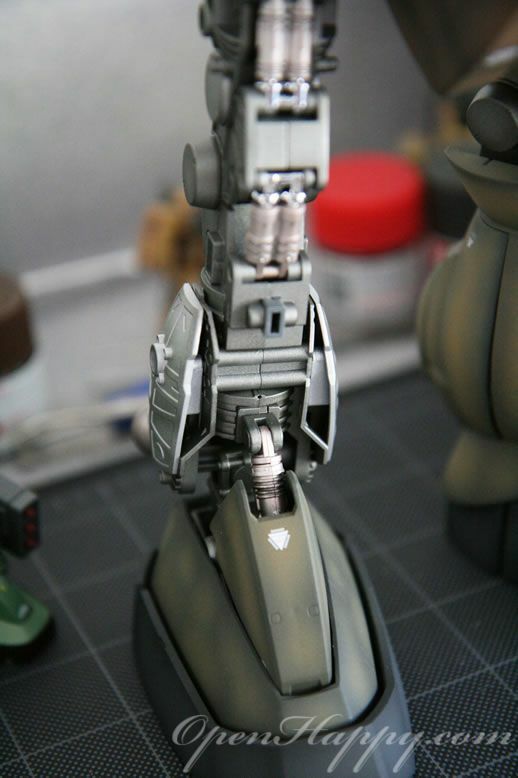 When you use sand paper on model, you have to wrap the sand paper around a hard object for support. So, there are some works to do for wrapping. 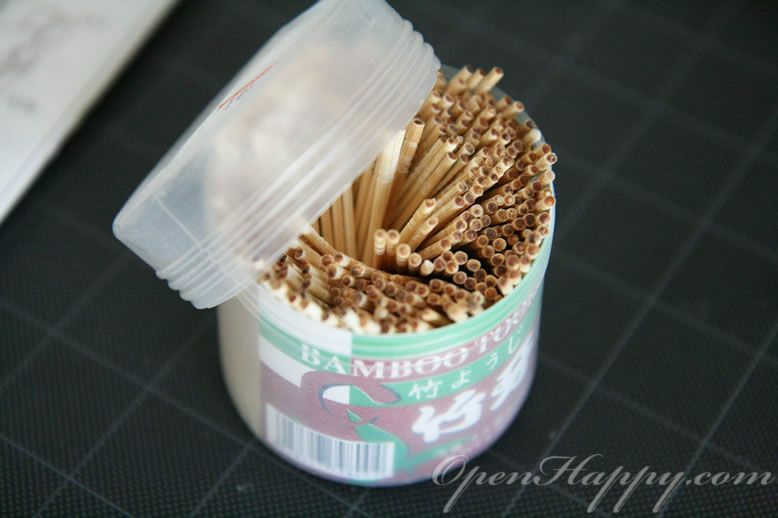 Then, I discover sanding sticks. 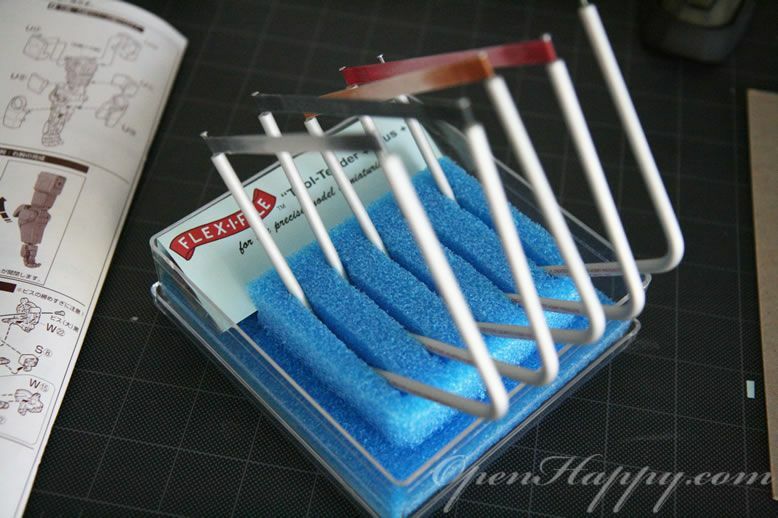 Sanding sticks did the wrapping for you. 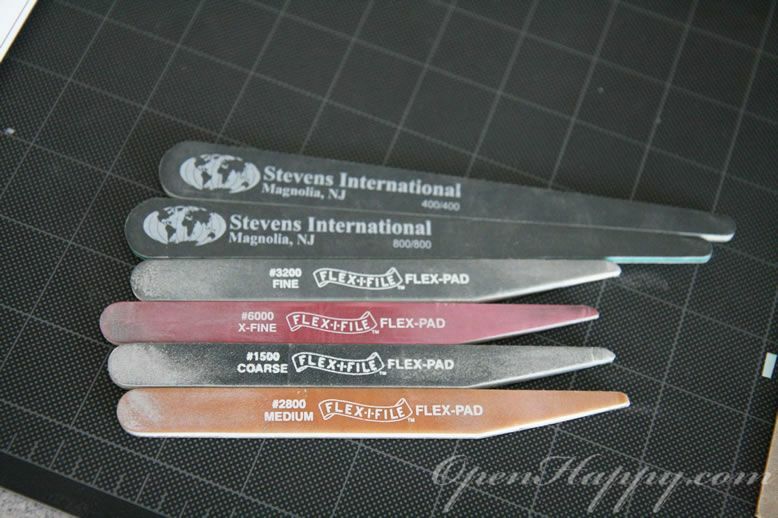 The sand paper comes supported with a hard backing. They actually last quite long since you can wash them from time to time. 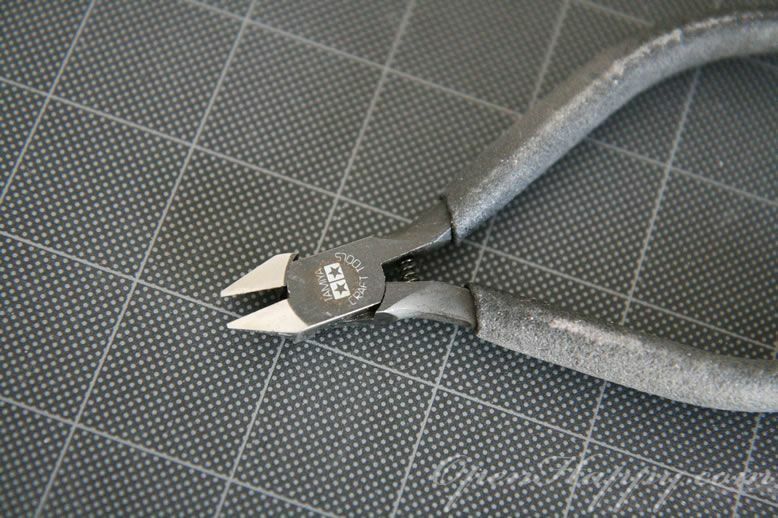 For sanding round objects, I use these. 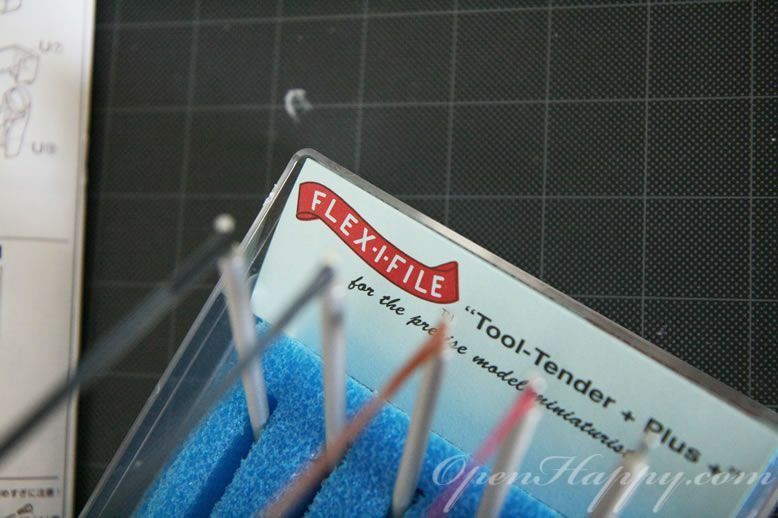 They are actually called Flex-I-File. 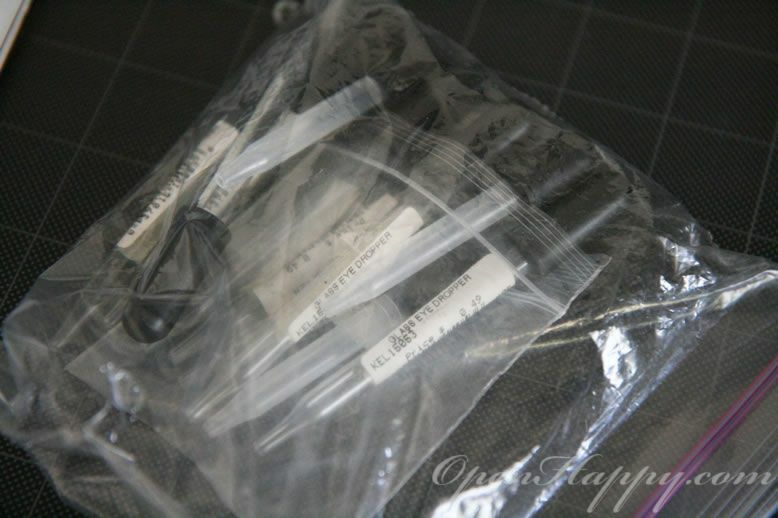 I used them a lot when I built my 1/16 RC Tiger I. Each one is a different grade (from rough to finest). So, you can "wrap" the object around and sand things down. 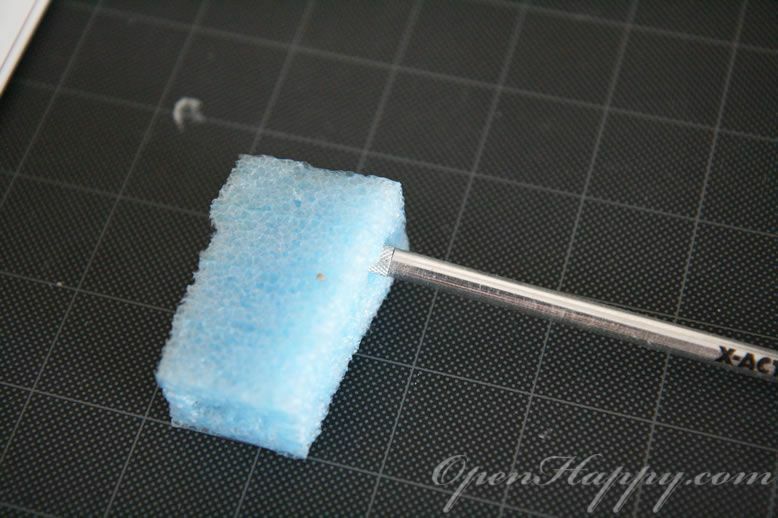 If you need a hole or two on your plastic, you need to have a little hobby drill. 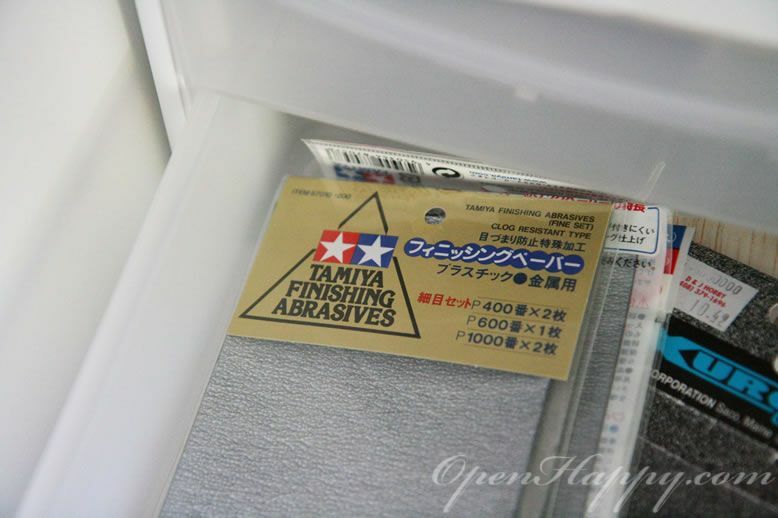 I got one from Tamiya. 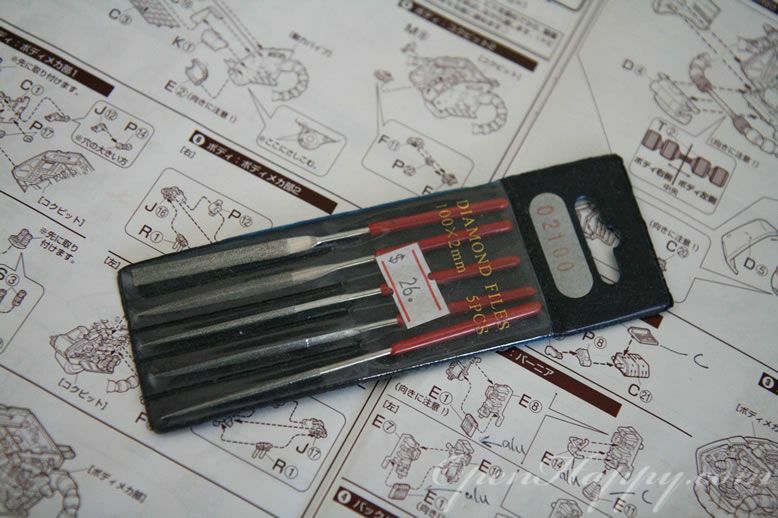 It is actually a plastic model in itself that I have to put together. 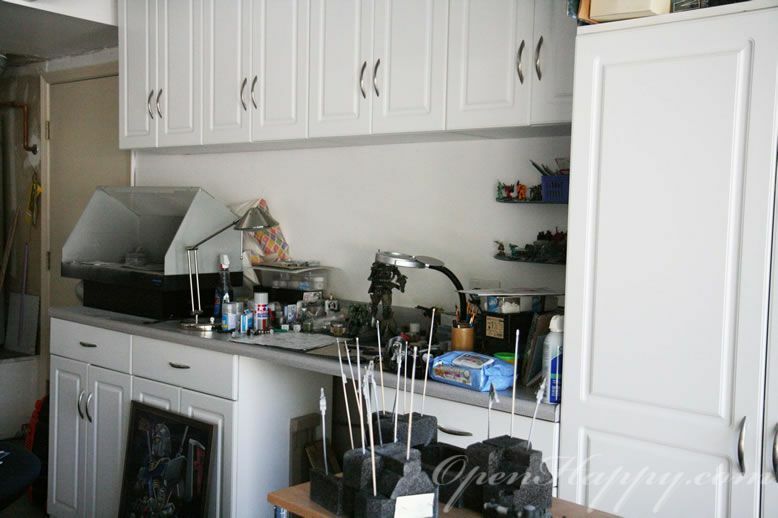 With all the basic tools in place, you need to have a workbench. I use a simple square table for a number of years. Finally, I built out a place in the garage to do it. 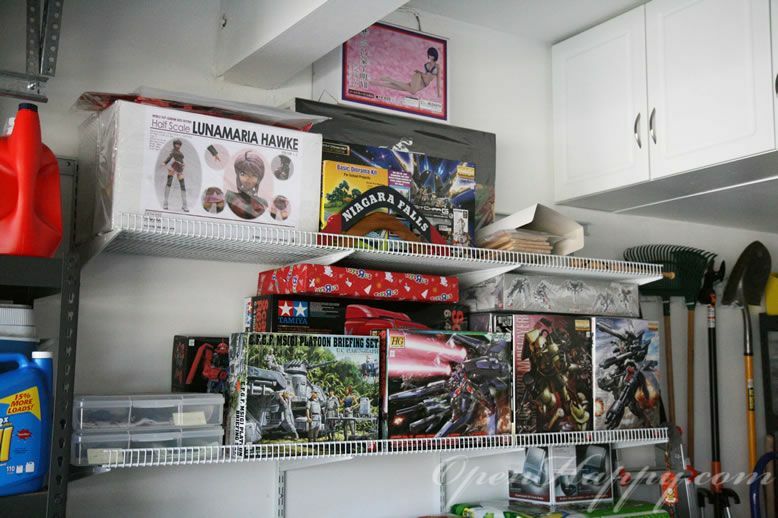 Building out the workbench is kind of like another gundam building project ... Anyway, most of the stuffs is from Home Depot and takes about a week or so to build them out. The "table" is actually a $90 kitchen countertop. It works out nicely as a workbench. 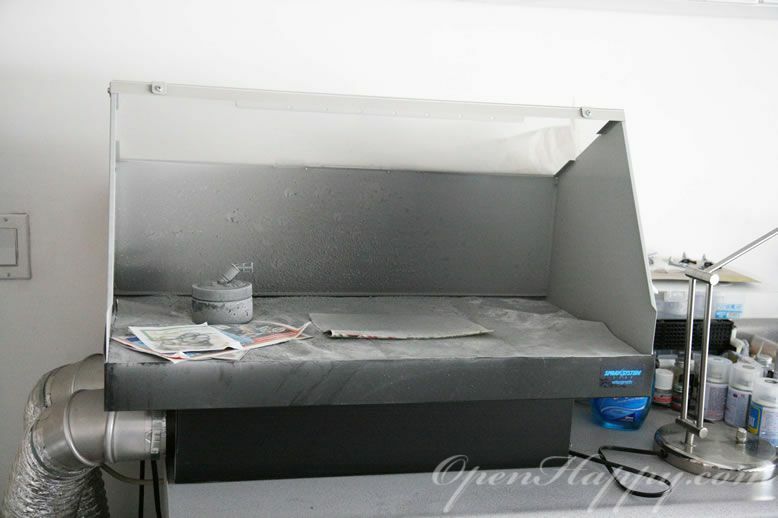 I also got a airbrush paint booth to sit on top of the countertop. 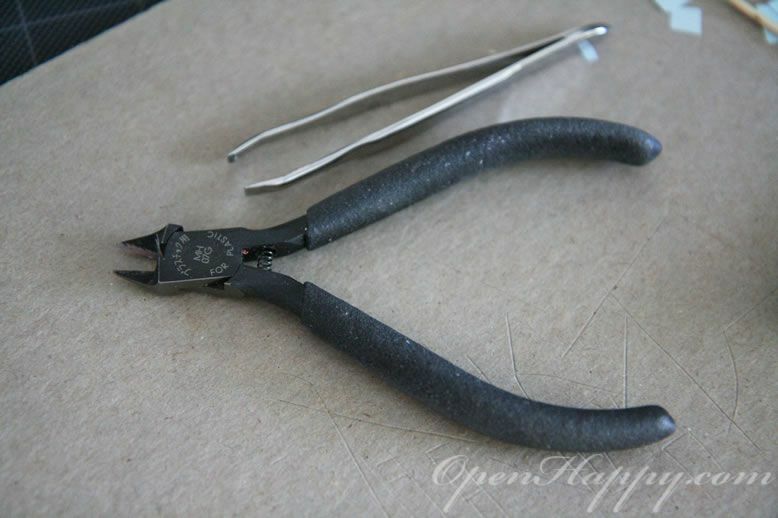 The star of the workbench should be whatever items that you are working on. 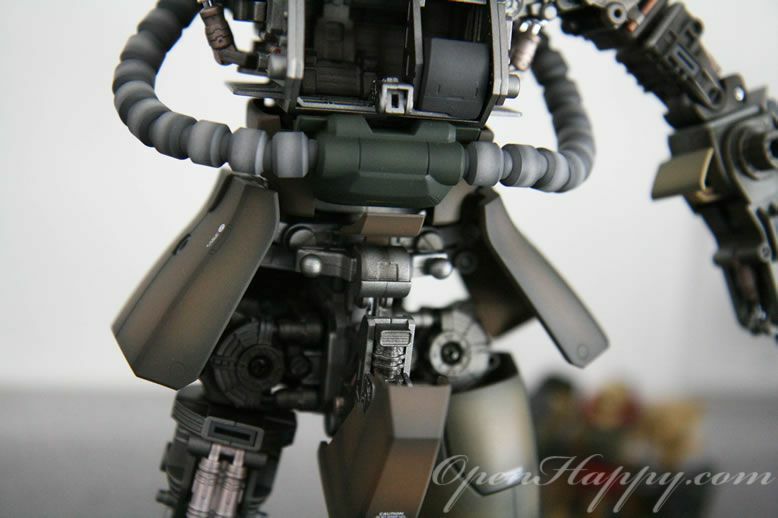 It happens to be a "cut-away" PG Zaku that I am building. 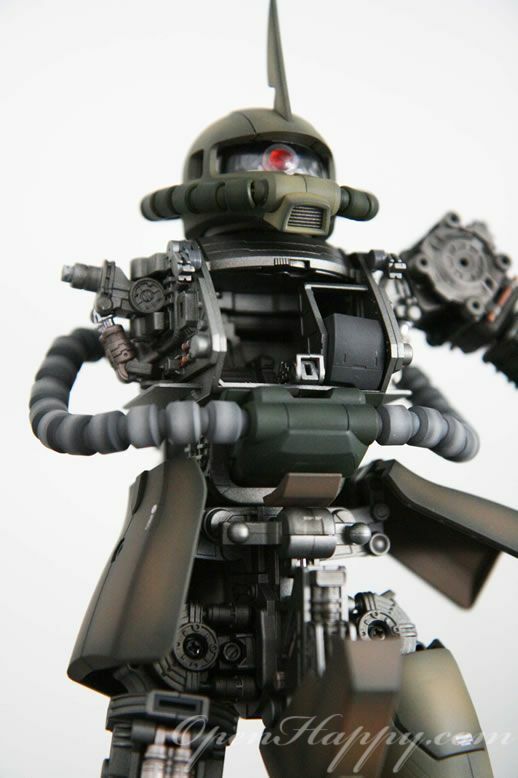 Here is a SHCM-Pro Zaku sitting next to the PG Zaku. 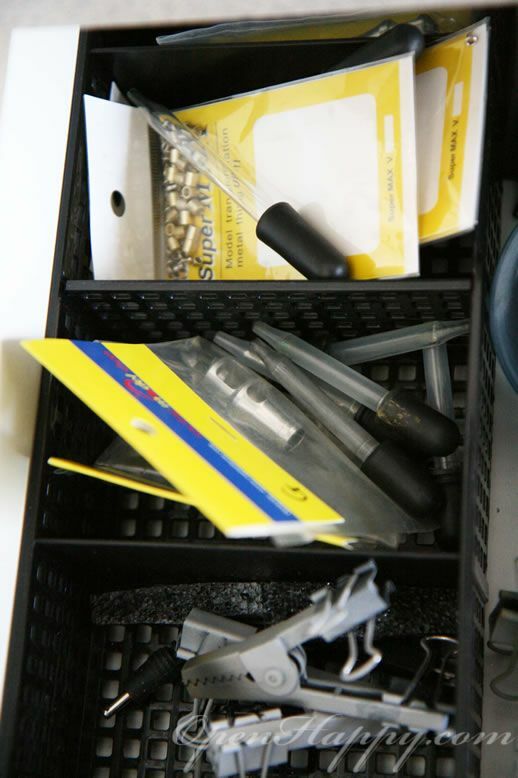 The next thing you need around your workbench is storage. 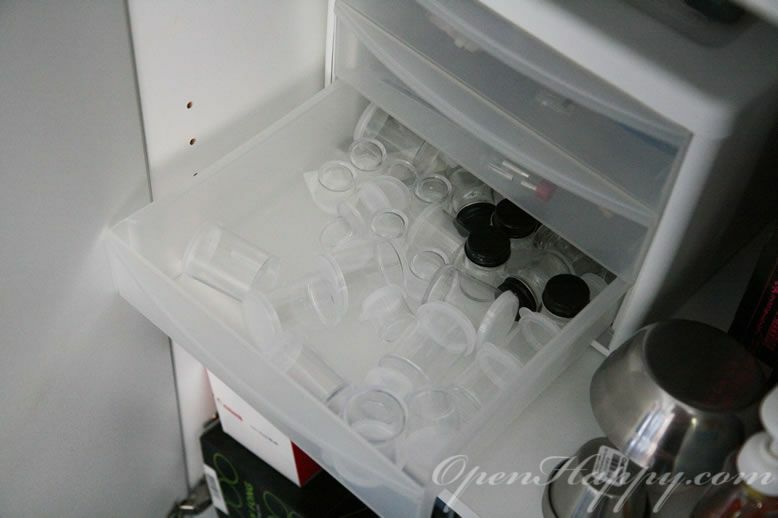 You need little drawers to store your hobby supply such as empty paint bottles. By the way, one pack has 15+ bottles for just 5 USD in Michael. 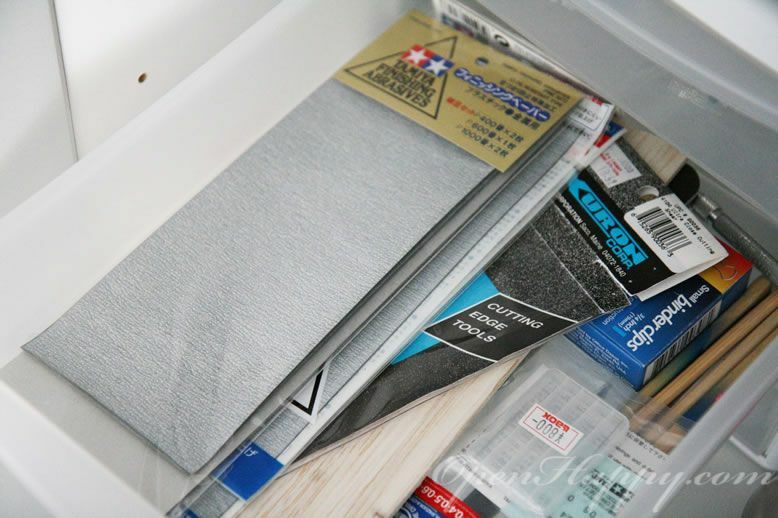 The sand paper and stuffs are also in the drawers. 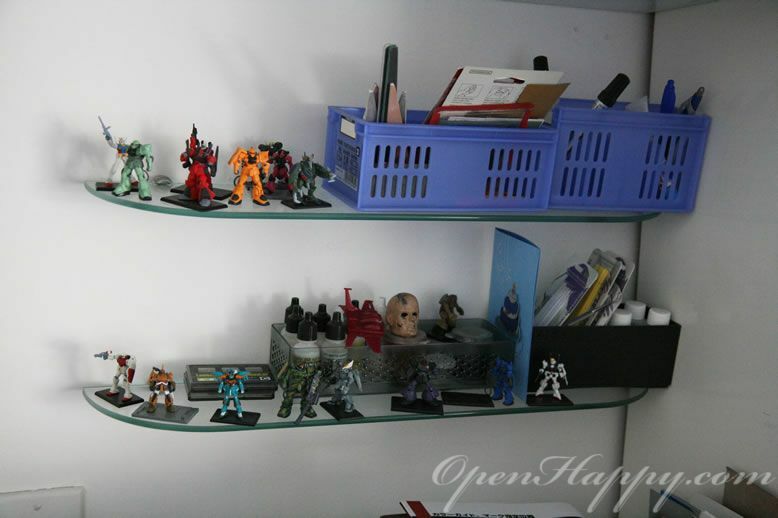 Open glass shelves to put items around your workbench are also good. 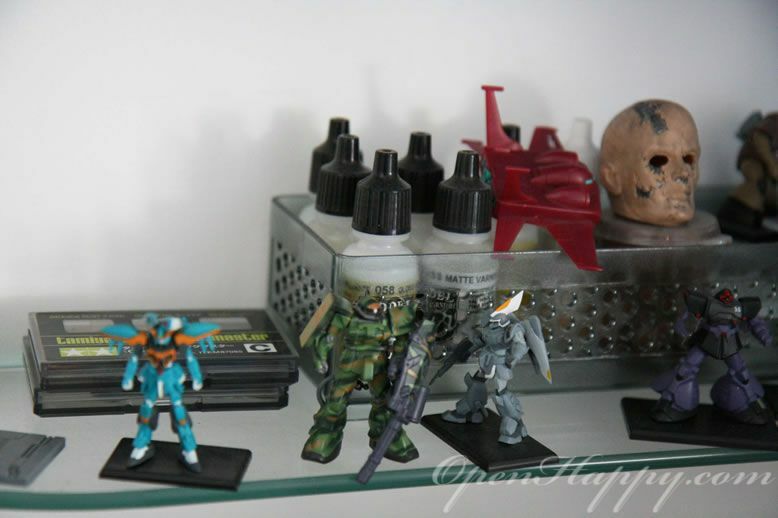 Here are a few things that I always keep in my workbench. 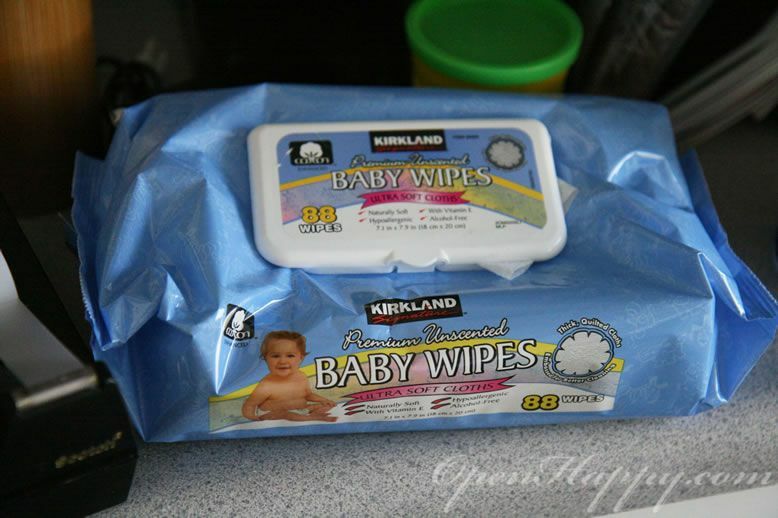 Baby wipes for cleanup general mess. They work great. Get them. 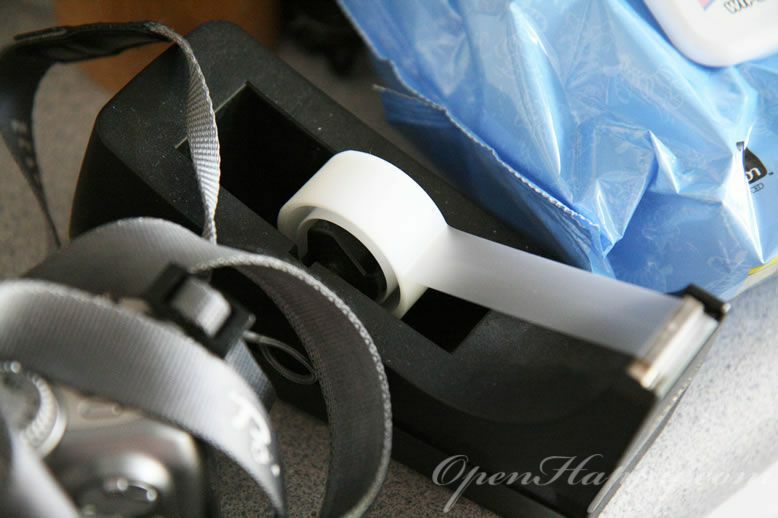 Transparent sticky tape for light masking or holding stuffs in place. The more serious masking tape. A digital carmera in residence at the workbench. 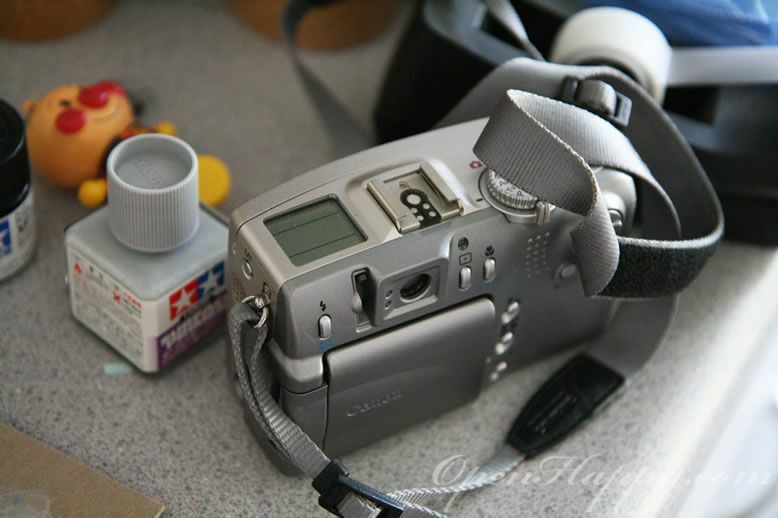 Well, an old camera to use all the time in the workbench to take pictures of your work. 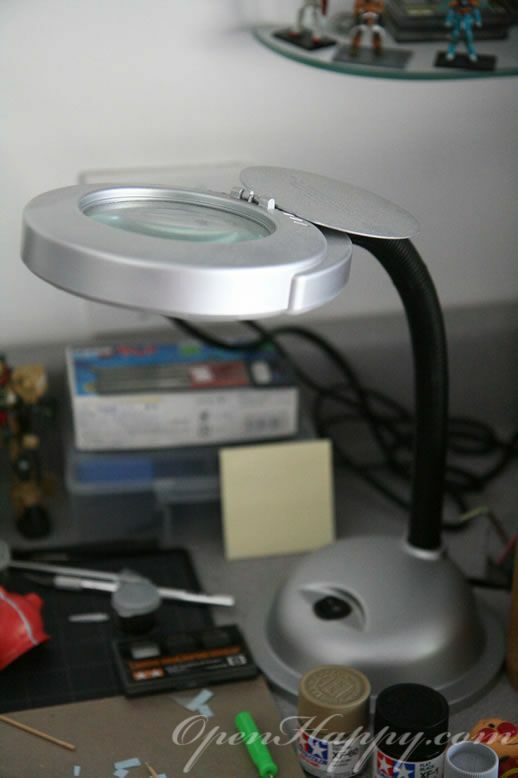 A lamp with light up magnifying glass. 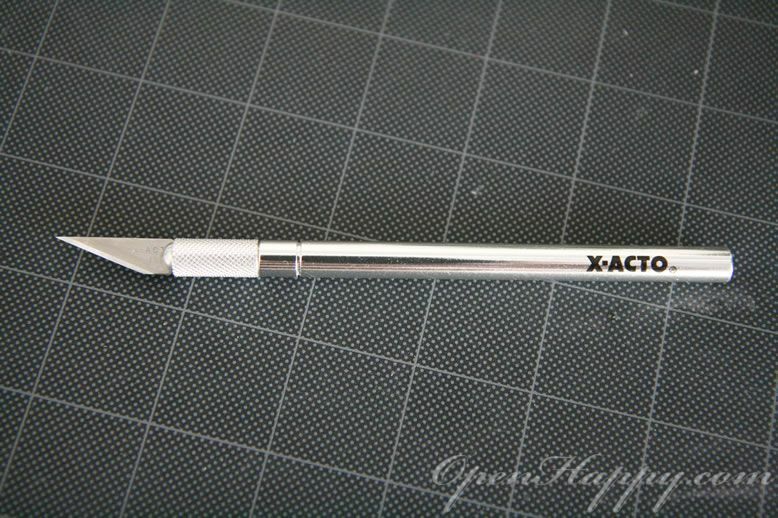 More on tools in general. 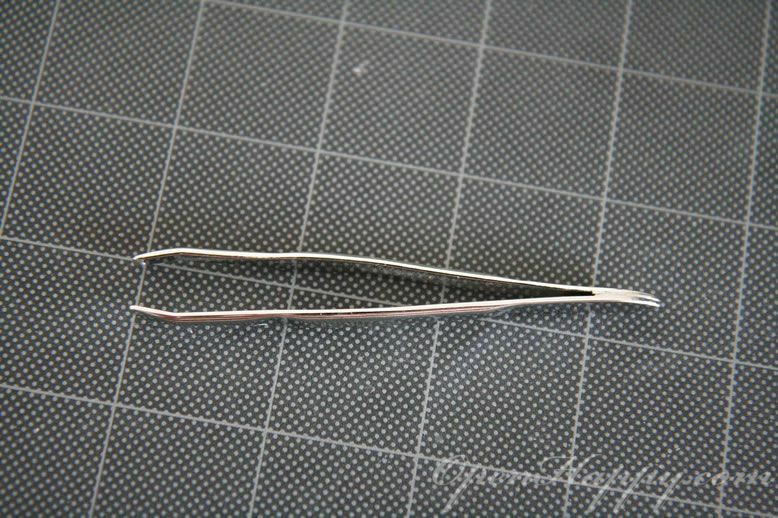 Here is a hobby clip. I have 30 of them or something. 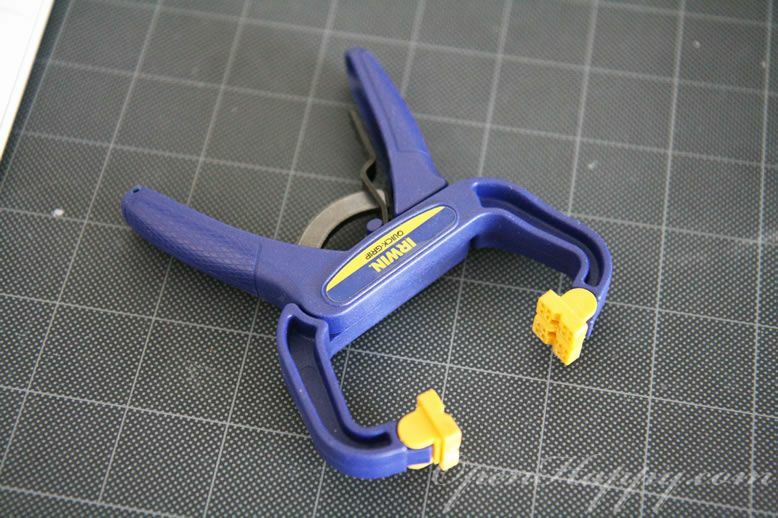 It is useful when you have something that you cannot pin up to paint. 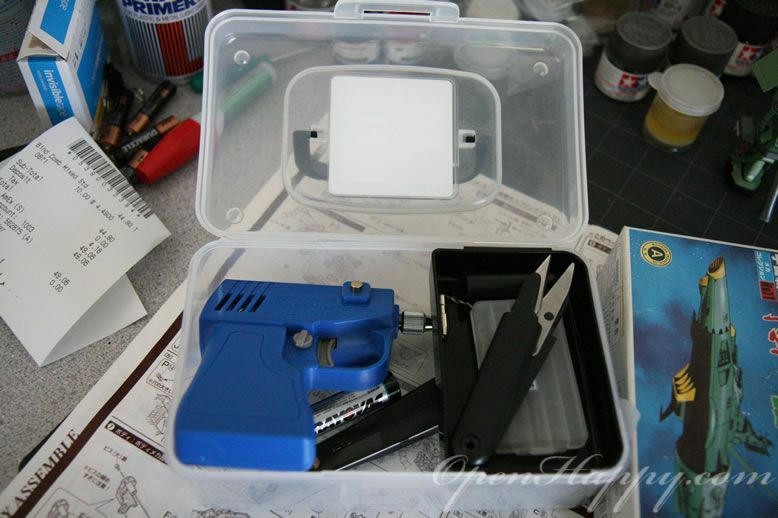 During contruction of the kit, if I need to glue something and hold them in place, I will use a quick grip. 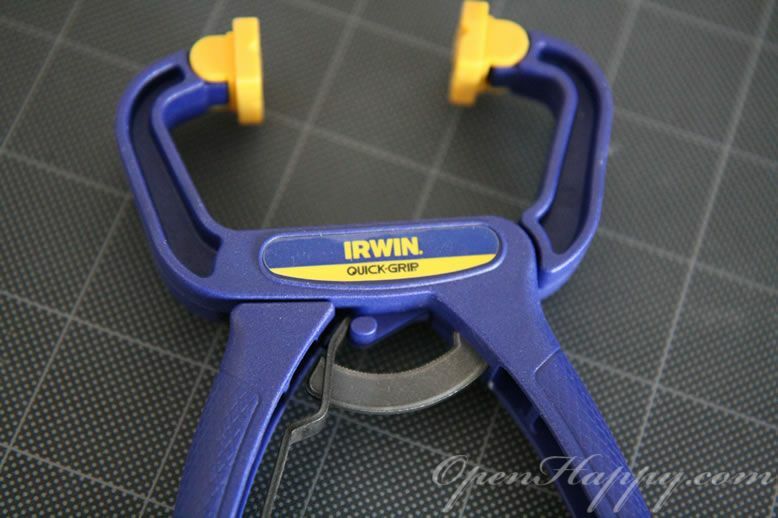 Irwin makes good gripper. A few dollars will give you one. 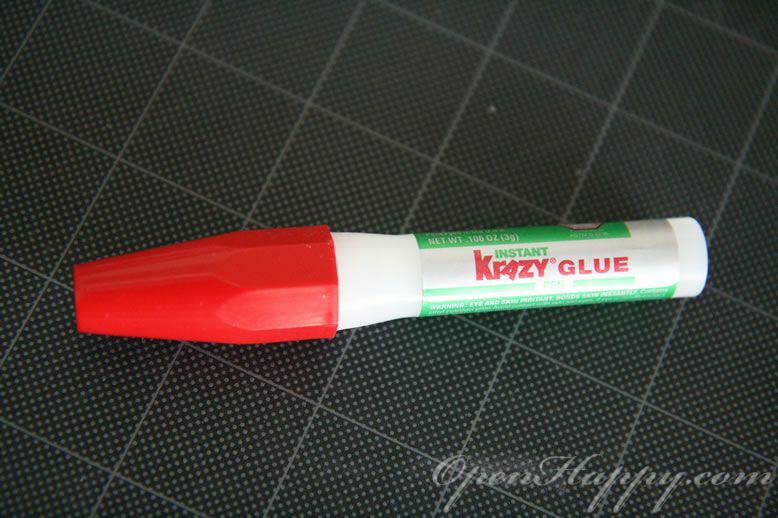 Krazy glue pen to stick something together real quick (and hard). 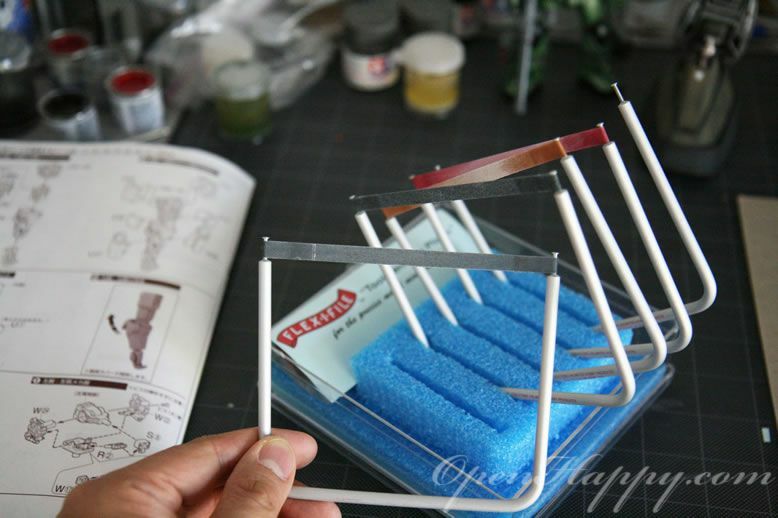 I use toothpicks for everything from mixing paint to measuring distance when applying decal ... even pinning up parts for painting. 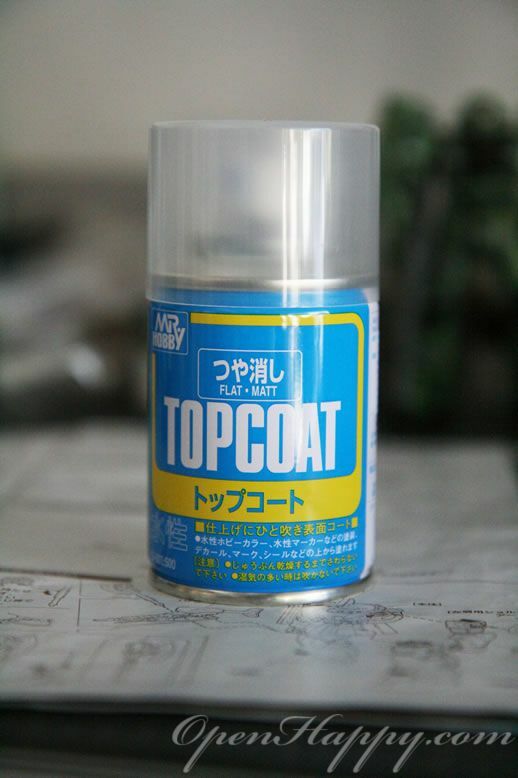 What else is on the bench ... TOPCOAT for sealing the paint after you are done. 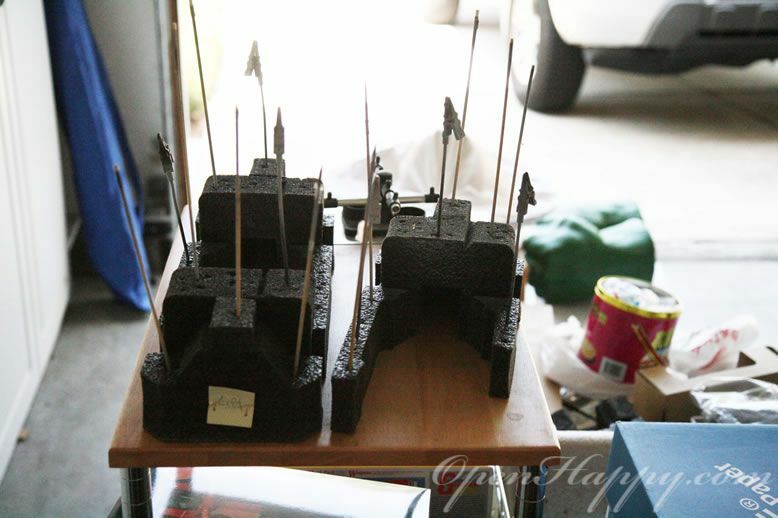 Primer to use before painting. I will discuss more in our painting session. 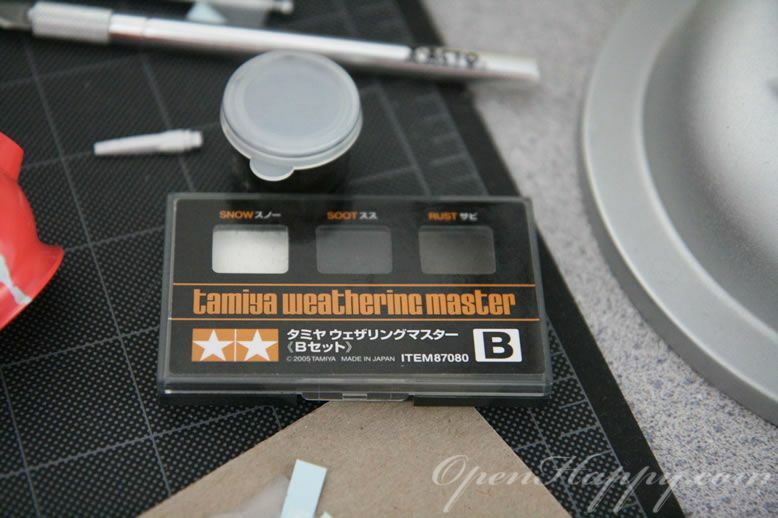 A weathering kit from Tamiya. Easy to use when you are feeling lazy. My choose of paint these days - acrylic. Another word for water based paint. I used to use Mr Surfacer for years. 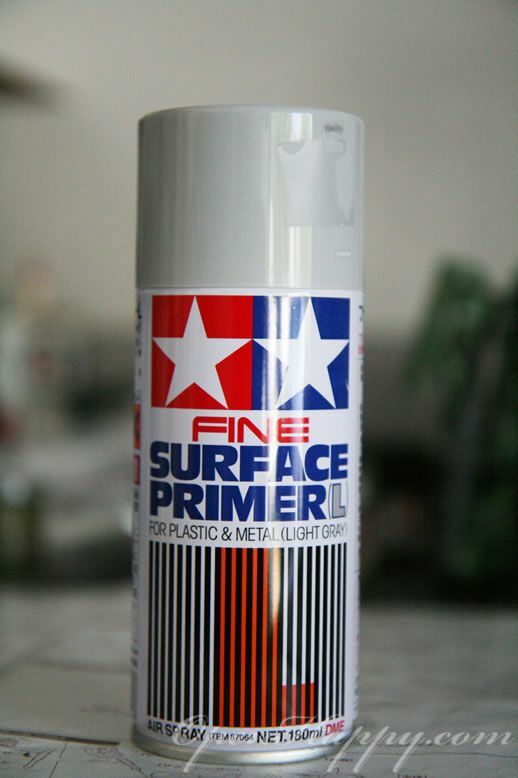 I try the Tamiya Surface primer and it works fine as well. 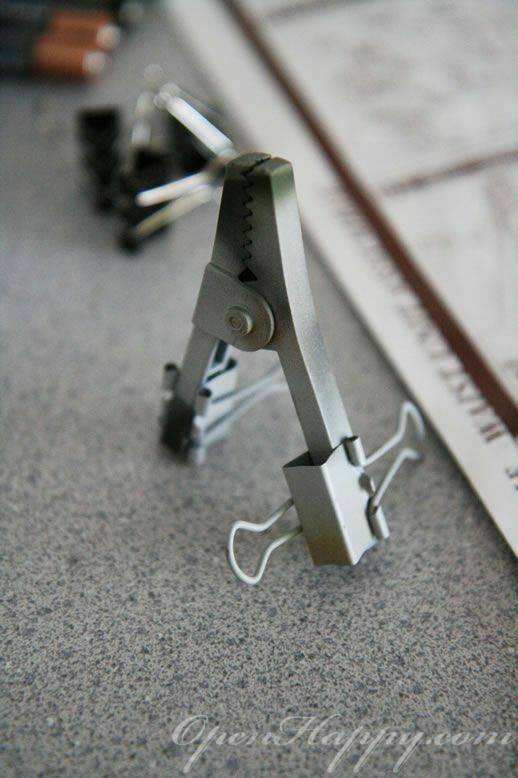 More detail on how to use them in our construction section. 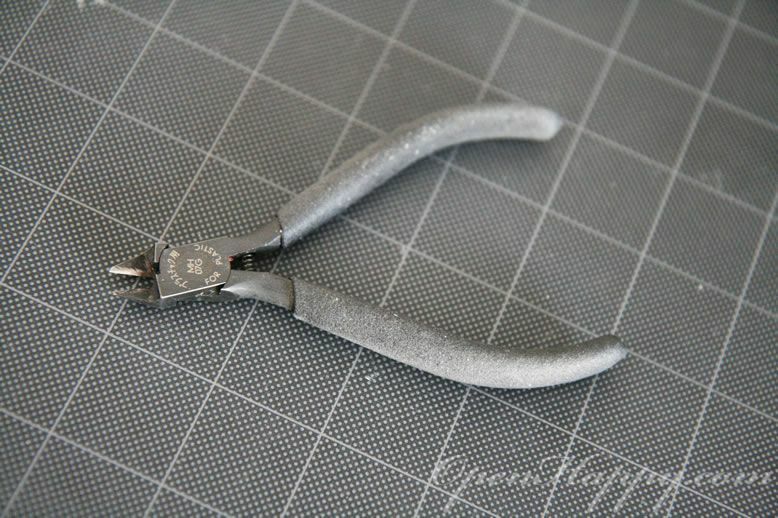 Heavy duty sanders for metal parts. Paint bottle in action. 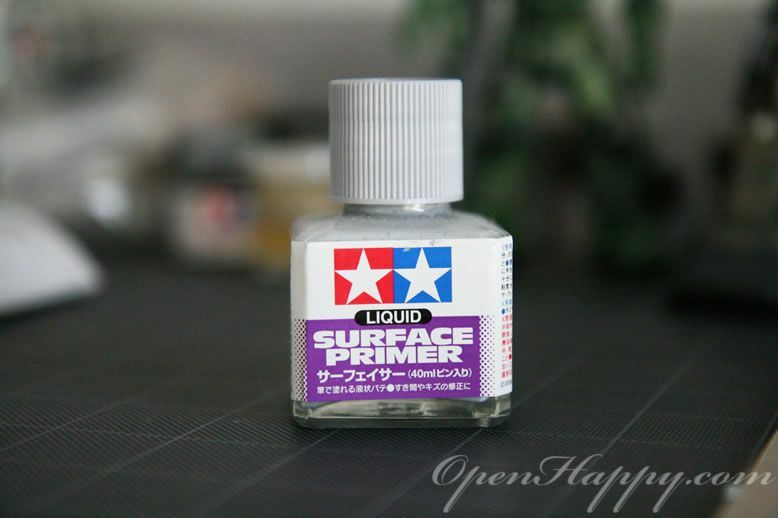 By the way, this type of plastic bottle only works with acrylic paint. 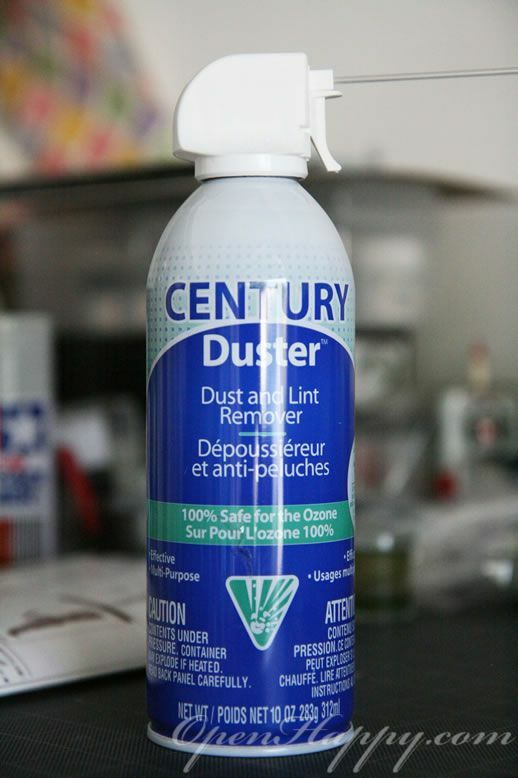 Computer Dust Remover is actually a good way to clean up the dust from your Gunpla. 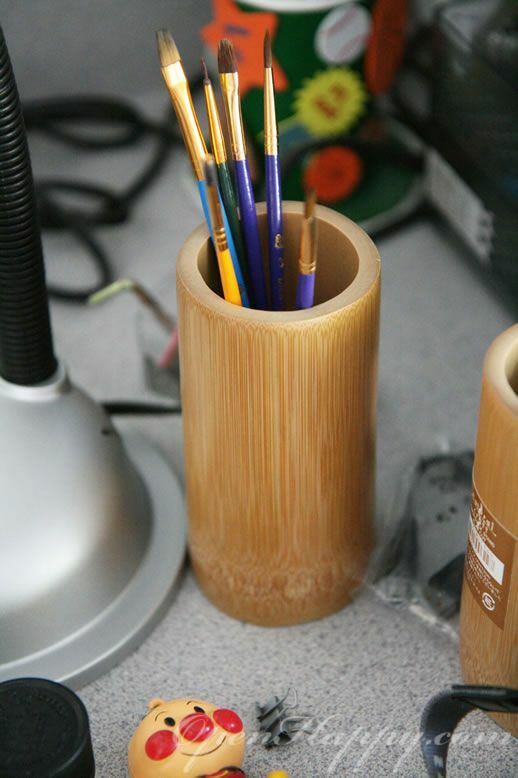 Pen holder on the workbench. 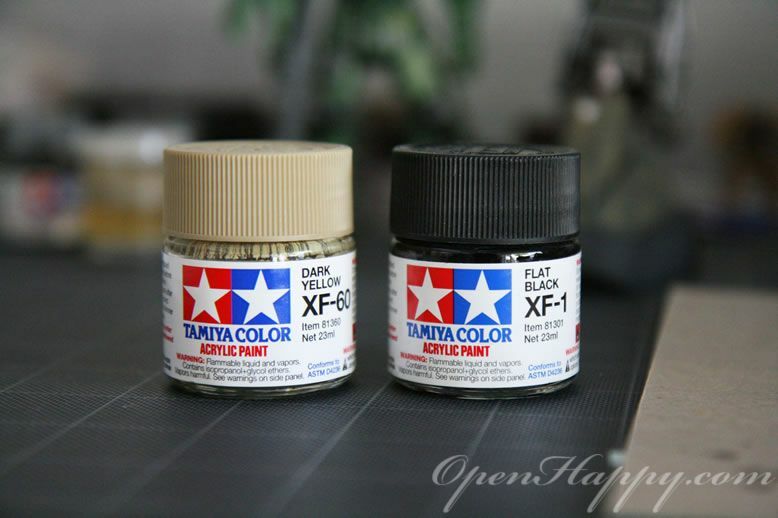 If I need to paint something smaller, this is what I use to hold and mix them. There is a name for it, but forget .. anyone? 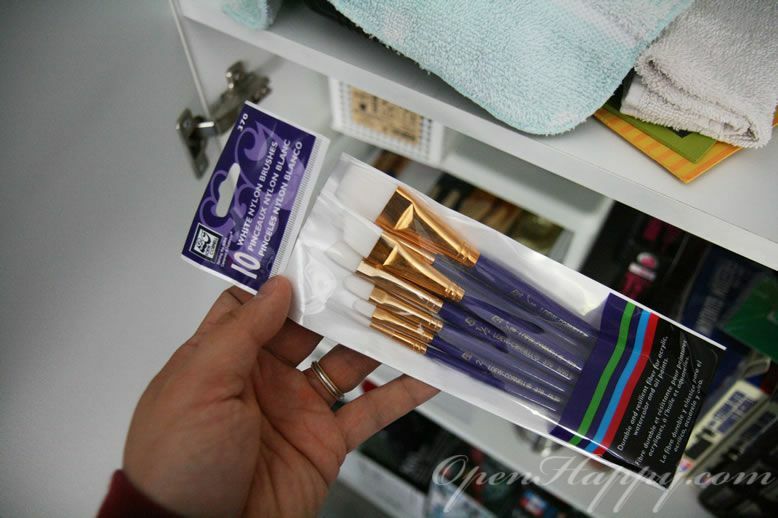 Cheap paint brush from Micheal. The whole pack is only 5 USD. 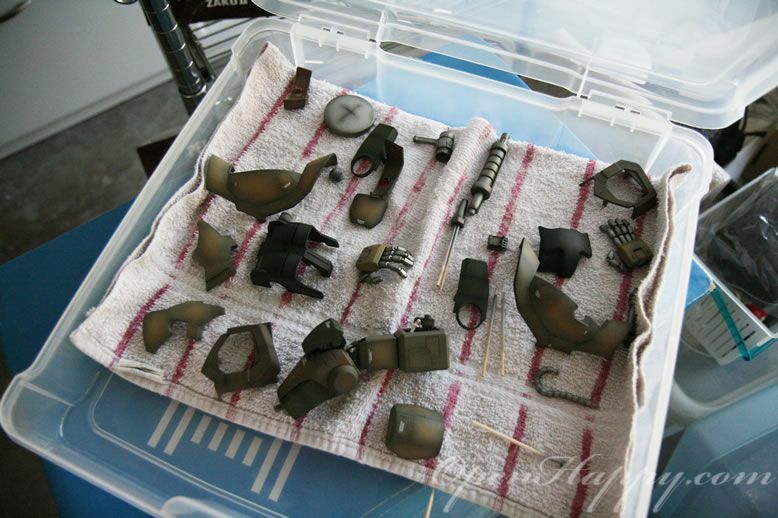 Use them for weathering most of the time. 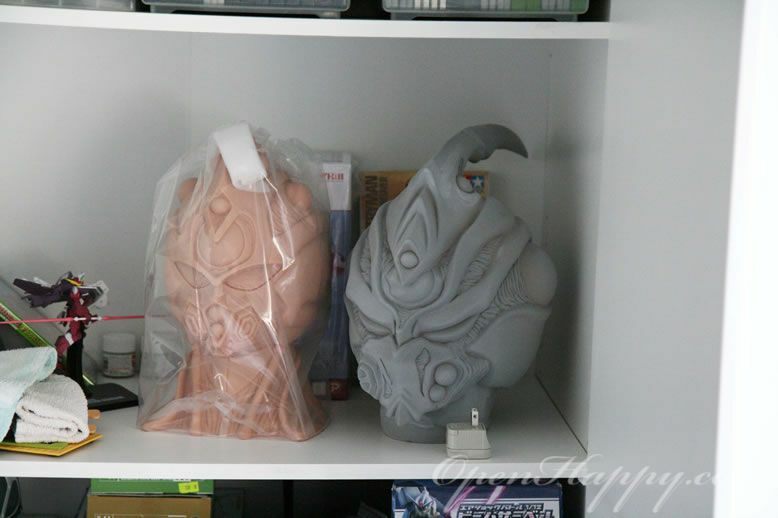 Well, there are also stuffs around the work bench that you never finished :) I am still thinking the base color for my Guyver 2. Little storage bin for the parts that I am building. 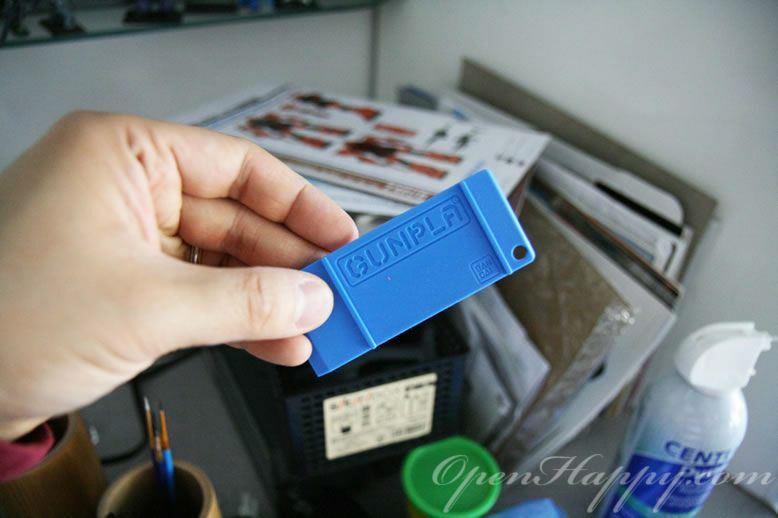 Here is a gunpla separation tool from Bandai. Have not use it that much yet. 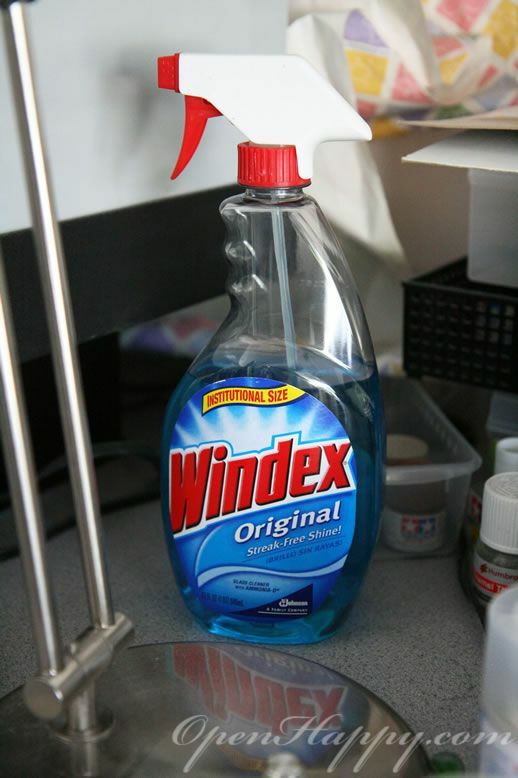 Windex is perfect to clean up tamiya acrylic paint. 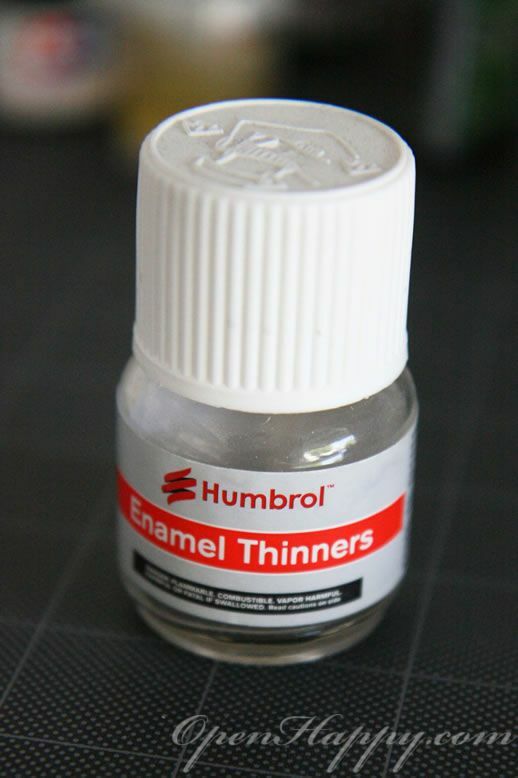 You can use that as thinner as well. 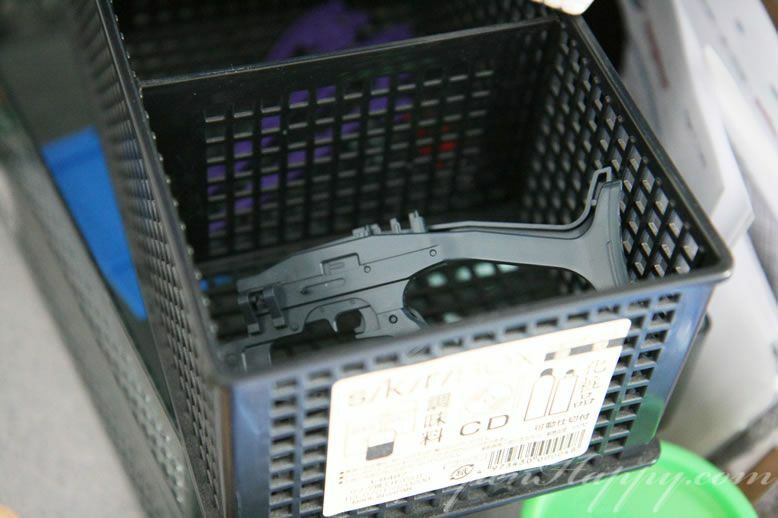 That is how I store my semi-finished parts. 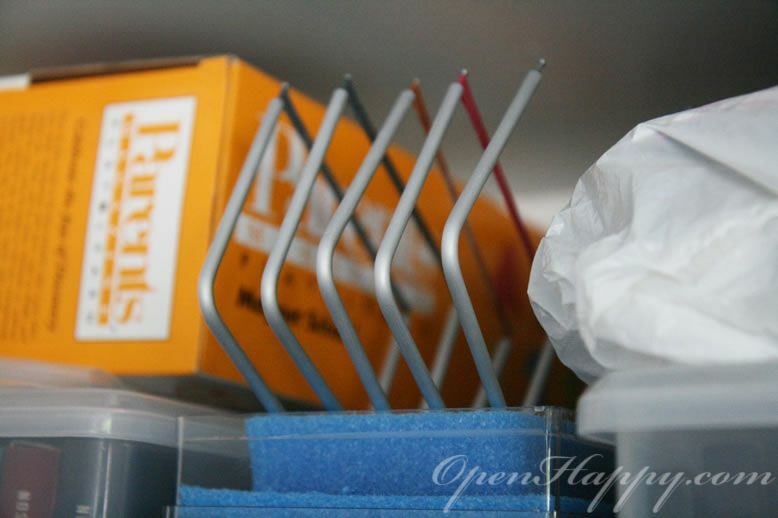 An office box with a clean towel at the bottom. 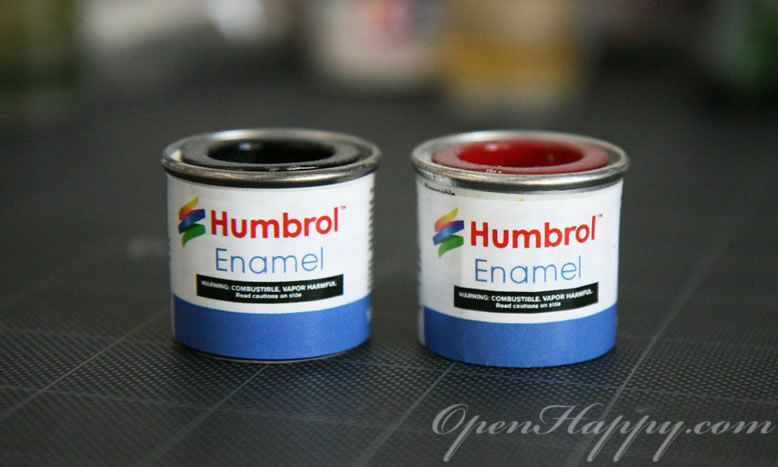 With tamiya acrytic paints, the ideal pairing for a wash is Humbrol. I will introduce the concept of wash in another section.